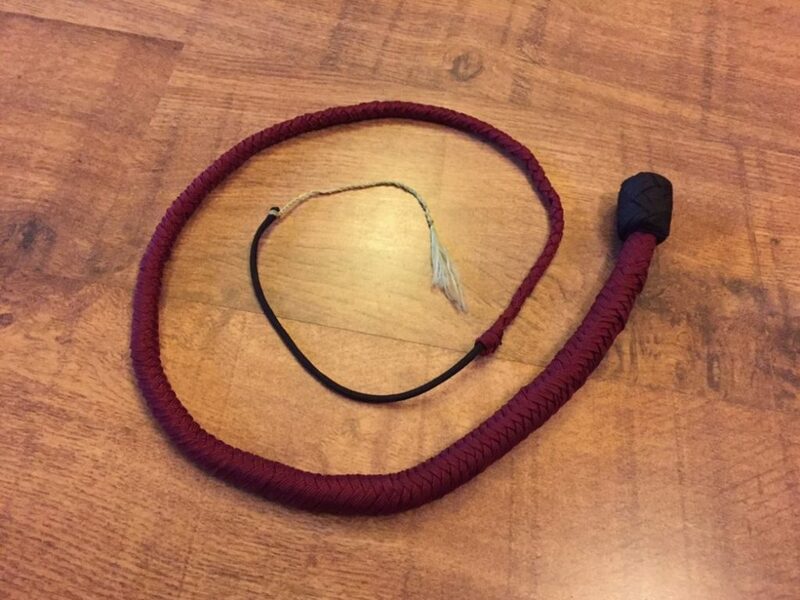 When I first met my partner she showed me some of her snake whips and it’s safe to say I instantly fell in love! they are just so much fun. The first time I tried to crack her whip…well I hit myself on the shoulder and it was more of a pathetic flop than the enthusiastic Indian Jones style crack, this was the same on the second attempt and every other attempt up until number 3000. But it was still great fun relaxing in the garden with her showing off her skills and me desperately trying (and failing) to look impressive during my turns. I knew I wanted one! But as is the case with anything of quality I just couldn’t justify the expense to buy one. Don’t get me wrong they are worth the price with the work that goes into them. They are works of art! So youtube to the rescue! 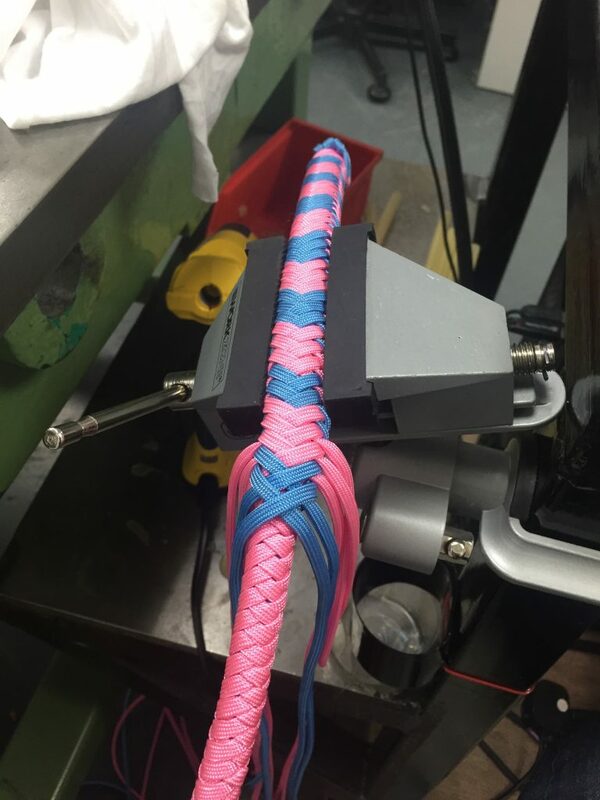 there are tons of different tutorials online and I highly recommend This tutorial from Nicks Whip Shop. It may seem long at nearly 2 hours but please don’t let put you off. Most of the techniques are fairly simple and repetitive so it’s really not that complicated. If anything I found the whole process to be very therapeutic and relaxing. These are made from Paracord instead of leather but work just as well! 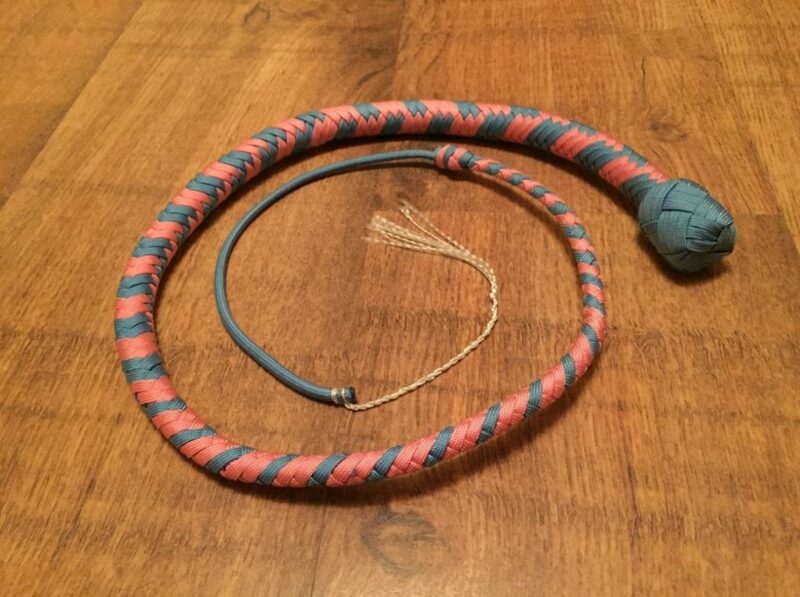 So if you want a whip but can’t justify the expense I would definitely recommend making one yourself. In total 1 cost me about £20’s worth of supplies but I had enough of those supplies left over to make a second.